I focus mostly on healthy food on this blog, but I’d be remiss not to mention this incredible health tool which I use every day: the Fitbit. 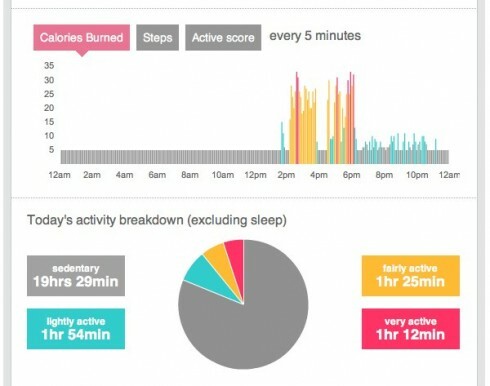 I’ve been using a Fitbit every day for almost two years now (I was an early adopter), and I absolutely love it. It would be a perfect gift for anyone looking to boost their healthy habits, or a gift for yourself! 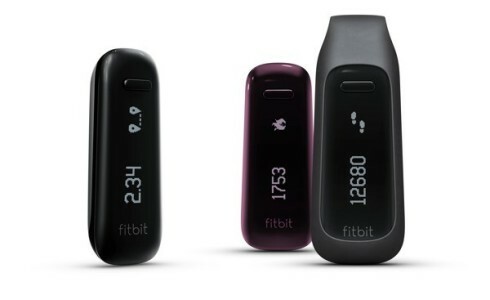 The Fitbit is a nifty (and cute) little tool to help you achieve a higher level of movement during the day. It’s a gentle reminder to get up, walk around a little bit, and keep active. Why is this important? The average American walks less than 3000 steps a day. 5000 steps are generally recommended for baseline fitness, and 10000 if you are trying to lose weight. I don’t walk 10000 steps every day, but the Fitbit certainly helps me get in some extra steps. What does the Fitbit do? 1. Primarily it is an incredibly useful pedometer. It measures your steps, the number of stairs you climb, how far you walk in a day, how many calories you burn, and your general activity level throughout the day. You can press a little button on your Fitbit to toggle through the different data during the day while it is clipped discreetly to your pants. 2. 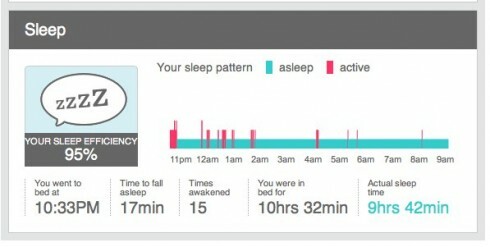 It also measures your sleep! You can slide it in a soft wrist band, and it has an accelerometer to measure your movements and sleep patterns. It’s unobtrusive – I rarely notice that it is there. You can then see how you performed throughout the day: this graph tells you how active you were at different time periods. The chart breaks down the activity levels into a really clear picture of who much time you spent in different active zones. Finally, you can monitor your sleep patterns. This was an evening where I a) went to bed pretty early, b) fell asleep faster than ever, and c) got in an ungodly amount of sleep. It was delightful! When clients or friends are looking to improve their health, I never advocate drastic diets or fitness regimens – one of the best ways to get healthier is to make small changes and add more of the good stuff to your life. 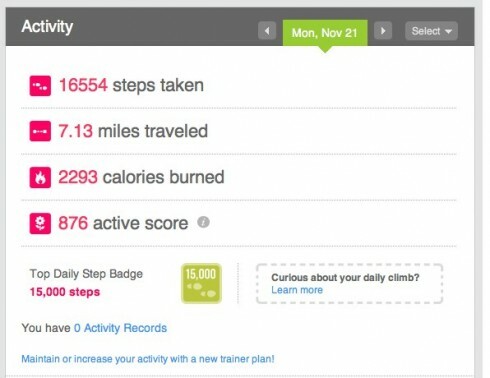 For me, walking is the best way to keep healthy and fit, and the Fitbit is an invaluable tool to help me do this. I highly recommend it. If you have any other questions, please ask in the comments, and I’ll do my best to answer them! Whole grains are a perfect choice for the lunch box, because they are cheap, filling, and best of all, they hold up well until you get a chance to eat. One of the best habits you can adopt to streamline your cooking is batch cooking a new whole grain every week to make into salads, add heft to soups, or serve as a side to any meal. I like cooking my grains in a good flavored stock or well–salted water to add a little depth. At the same time, I’ll roast a pan of seasonal vegetables. For those of you with a little less time on your hands, there are also some great ready to eat and frozen grains on the market* (see below). My favorite way to prepare them? The Whole Grain Salad. Essentially, I pick any whole grain (and there are so many to choose from), add in “the fixins” and toss with a vinaigrette, a handful of torn fresh herbs, and salt and pepper. Your grains will hold up splendidly until lunch, and the longer your salad sits, the better the flavors will infuse into each bite. Many of the salads I make have decidedly “mature” flavor profiles, but these can be great salads for a kid’s lunchbox as well. Things to think about: to achieve your ideal grain salad, you want a range of textures and flavors. I like something chewy, something crunchy and something soft. As for flavor, I like something earthy, nutty, green, sweet and tart. And sometimes I like a little punch of heat: either from red pepper flakes or hot sauce. The Formula: the good thing is that these salads are flexible. You can make them as big or as small as you need. 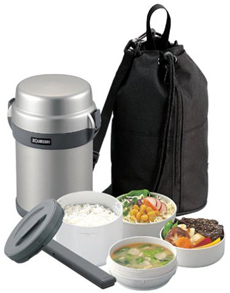 Usually, for a lunch box I serve ½ to 1 cup of whole grain as a portion. I like my salads on the more vegetable laden side, so I’ll add about a cup of vegetables per person, but ½ cup is probably more reasonable. The dressing amount is up to you – you want to add a small amount at first, and toss your salad and taste – if you need more, add a small amount, toss and taste. I usually add my salt and pepper to the dressing, but sometimes it’ll need more salt if it tastes a little bit flat. Sometimes I’ll pack a little lemon wedge to brighten it up before I eat. The Grains: some of the best grains for lunches are the ones that are firmer in texture when cooked: barley, wheat berry, farro. Bulgur makes a softer salad, millet and quinoa are even softer. I also use a lot of brown rice, wild rice and Israeli cous-cous (not technically a grain, but a tiny round pasta) as the base to my salads. (Technically quinoa, wild rice, and israeli cous cous aren’t true grains, but we use them in the same way). The Fixin’s: here you can go wild, but typically I like to add seasonal vegetables (particularly roasted vegetables, but I like a mix of cooked and raw vegetables), some sort of bean, fresh herbs, and cheese. 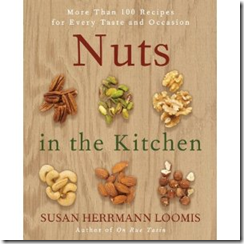 Sometimes I’ll add a small handful of nuts or dried fruit as well. The Dressing and Herbs: this is where you get some flexibility to really change the flavor profile of your dish. You can choose a soy-ginger marinade, or maybe a Californian Green Goddess dressing, or a citrus vinaigrette. Most often I just use a basic vinaigrette of one part vinegar to three parts oil. If you feel uneasy making your own dressings, there is no shame here in using your favorite bottled dressing, (but making your own is cheaper and more flavorful). Don’t be afraid to add a good amount of fresh herbs, I like to think of them as a vegetable rather than just a garnish. Green is good! These aren’t traditional recipes, but combinations that I like and start with. I typically use a few cups of grain (but sometimes I double it). Don’t be afraid to mix and match your grains, or use multiple grains at once. I might swap out the vegetable, add some chopped egg or crispy bacon or tofu (although, you have to be more careful about how long you keep them in your lunch box when you add those). Usually I keep them room temperature, but if I’m eating them at home for lunch, I might re-heat them on the stove and eat them warm and call it a “pilaf”. For those with a little less time on your hands, you can use pre-cooked grains (*see below), frozen vegetables, and bottled dressing, and these will still taste pretty darn good. 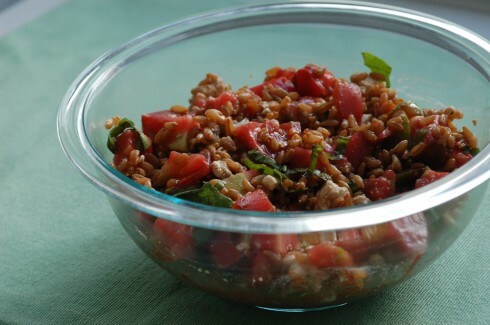 Farro Salad with Tomatoes, Basil and Feta: take 2 cups of cooked farro, and toss with a chopped ripe tomato (I find that cherry tomatoes work well in winter time, when you can’t find sweet ripe heirlooms). Add a handful of roughly chopped or torn basil, crumble in some feta cheese, and toss with a balsamic vinaigrette. Not Quite Tabbouleh Salad: take 2 cups cooked bulgur wheat and mix with a cup or so of chickpeas (garbanzo beans). Add a handful of chopped parsley, some cherry tomatoes, a small chopped shallot, a sprinkle of cumin, and some lemon vinaigrette. Greek Wheat Berry Salad: take 2 cups of cooked wheat berries, and toss with 1 medium cucumber, chopped. Add a small handful of chopped dill, a ½ cup of yogurt, and the juice and zest of a lemon. (You might want to try half the lemon juice, but I like it quite tart). You can also toss in some feta and pine nuts if you’d like to gild the lily. Barley Salad with Broccoli, Blue Cheese and Walnuts: take 2 cups of cooked barley, add 2 cups of roasted (or steamed) broccoli, cut into bite size pieces. Add crumbles of a strong blue cheese, some toasted walnuts, and toss with balsamic vinaigrette. Quinoa, Black Bean and Corn Salad: take 2 cups of cooked quinoa, add ½ cup of black beans, and ½ cup fresh (or frozen) corn kernels, and ½ cup chopped red bell pepper. Add some chopped red onion and avocado (if you like them), a dash of cumin, and top with lime vinaigrette. Kick it up with some hot sauce, or a few spoonfuls of salsa if you’d like. Brown Rice, Asparagus and Edamame Salad: take 2 cups of brown rice, and mix with a cup of asparagus, ½ cup of edamame (or broad beans, or peas), a good handful of torn mint and a lemony vinaigrette. This one is good with bacon. Wild Rice, Cranberry and Nut Salad: take 2 cups of cooked wild rice, add in 1/2 cup dried cranberries, ¼ cup toasted hazelnuts (or walnuts, or almonds) and toss with a citrus vinaigrette. (Orange juice and zest is stellar in this). Bulgur with Eggplant, Pistachios and Mint: take 2 cups of cooked bulgur, toss in a cup of roasted (or grilled) cubed eggplant. Toss in a handful of pistachios and some freshly torn mint. Toss with a lemon vinaigrette. You can also add in a couple of black olives and feta, and you’ll be a happy camper. Israeli Couscous and Cauliflower Salad: take 2 cups of cooked Israeli couscous, and add two cups of roughly chopped roasted cauliflower. Toss with fresh parsley and a dressing of lemon juice and olive oil, with a tablespoon of capers and a few chopped anchovy filets. A note on precooked grains: I’ve long since made it a habit to cook batches of grains at the beginning of the week. I’ll often freeze small portions of cooked grains to reheat. As this isn’t practical for everyone, I’ve also spent a lot of time tasting pre-packaged grains (both shelf stable and frozen), and find many of them to be really good. Trader Joe’s has some really good options (frozen organic brown rice, frozen organic jasmine rice, fully cooked wild rice, and their multi-grain pilaf). My other favorite is a company called Village Harvest which I tried several years ago at the Fancy Food Show and fell in love with. They recently sent me some of their frozen whole grain samples (it pays to write about companies you love, I tell you) – and what sets them apart is the flash freezing which really preserves the grain, and their combinations: my favorites being the Farro & Red Rice, and Wheatberry & Barley. What the Heck is Meal Planning? How many times a week do you enter the grocery store, with nothing in mind, and have to come up with dinner on the fly? How many times a week do you end up spending double what you think you will at the grocery store? Enter Meal Planning, Your New Best Friend. You’ve heard of it. It’s something that obsessively organized people do. Right? No! Meal planning is something that everyone should do. Whether you are running a busy household and need to plan school lunches and meals for your kids, or are accommodating a family member with a health concern such as diabetes or a gluten allergy, or even if you just want to feel a little calmer before you step into the kitchen, a meal plan is an ideal solution for making your life easier! 1. You save money: when you shop once a week with a list of meals in mind, you save money on groceries. If you need further proof of this, go ahead and shop at your normal rate and tally up your receipts at the end of the week. The next week, plan out five meals, and shop once. Or even twice. It will be cheaper, and sometimes by a huge chunk of change. 2. You save time: when you have a few meals planned out for the week, you will save time grocery shopping, and likely, you will save time cooking as well. 3. There are added health benefits: when you plan your meals ahead of time, you minimize food cravings and overeating, by having something to look forward to. You also are planning for a specific portion size, which will reduce the chances that you cook double what you need just because you are starving. 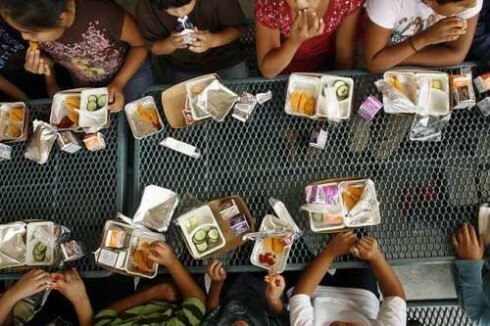 Your homework: sit down sometime this week and jot down five possible meals for the rest of the week. This doesn’t have to be complex, it can be as simple as: “pasta, meatloaf, chili, salmon, pancakes for dinner”. Or, if you’d like something a little bit different, you might consider choosing a theme for the week or for each night: “Mexican, Italian, French, Moroccan, Country-style”. This is the first post in a series about Meal Planning. 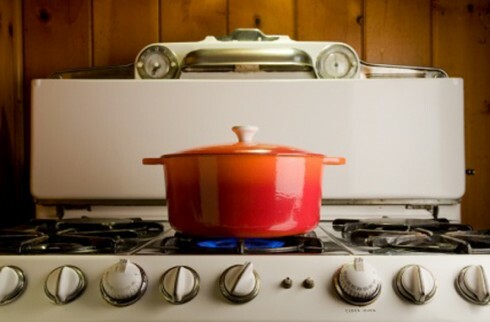 We’ll be getting into the nitty gritty in the future, with ideas for kitchen novices and meal planning pros alike!! I might have been the only child on the face of the planet who despised Peanut Butter and Jelly sandwiches, and it wasn’t until I was an adult that I started eating nut butter. I didn’t know what I was missing! My tipping point occured when I started packing my own lunches for work, and realized all the possibilities for these creamy spreads! No longer is the pb+j the standard! Looking for a way to liven your lunchbox? A healthy spread for your child’s sandwiches? Something new to dip vegetables in? Consider trying a new nut butter! 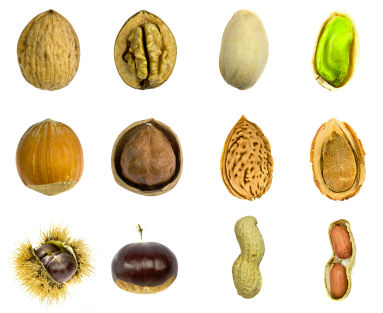 Nuts are high in protein, fiber and good fats, and even a small amount can add a boost of flavor to your meals. Most supermarkets carry specialty nut butters these days, but if you can’t find them, your local health food store is a great resource. And for the most economical way to enjoy nut butters, make your own at home! The almond is a sweet nut, that lends itself well to sweet flavors. A good alternative flavor-wise to peanut butters, goes well in sandwiches, spread on fruit, or stirred into oatmeal. For homemade, process for up to 15 minutes in the food processor (until it forms a smooth, spreadable paste). Cashew butter is incredibly creamy with great mouth feel and a more subtle nut flavor. It lends itself well to Indian flavors and spices. Cashews also go well with other tropical fruits, such as mango and pineapple. For store bought, try For homemade, process for 2 to 5 minutes in the food processor. Try one of these combos: [Cashew Butter + Curried Chicken Salad] or [Cashew Butter+ Mango] or [ Cashew Butter + Pineapple] or [Cashew Butter+ Sliced Banana]. Most people equate hazelnut butter with outrageously sweet chocolate and hazelnut spreads, but savory hazelnut butter made out of plain ‘ole hazelnuts is a wonderful addition to sandwiches and can lend itself to a wide variety of flavors. For homemade, process hazelnuts in the food processer for 5 to 10 minutes. Try one of these combos: [Hazelnut butter (unsweetened) + salty cheese (feta or goat)] or [hazelnut butter+ sliced bananas+honey] or [hazelnut butter + roasted pumpkin (or pumpkin puree)] or [hazelnut butter+ stilton cheese+pears]. Try one of these combos: [Walnut Butter+Apples+Honey] or [Walnut Butter+Bananas] or [Walnut Butter + dried figs] or [Walnut Butter+Sliced Pears] or [Walnut Butter+Prunes] or [Walnut Butter+ Roasted Sweet Potatoes +Cumin]. Use raw nuts, or toast lightly for 10-12 minutes before processing. Nut butters are easily made by grinding nuts in a food processor until they form a smooth paste. The time it takes ranges from 2 minutes for cashews to up to 15 minutes. Use a spatula to scrape down the sides of the bowl if you see the nuts aren’t blending well. Because they are more perishable than shelf stable butters that you buy, make your nut butter in small batches, and store in the refrigerator, covered, for up to a month. For easy spreading, allow nut butter to come to room temperature. 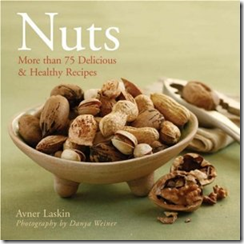 Nuts: More than 75 Delicious & Healthy Recipes , 128 pages.